Black History Month 2019 will kick-off with a celebration of the significance of Black History Month nationwide and its ever-present importance at The University of Mississippi. 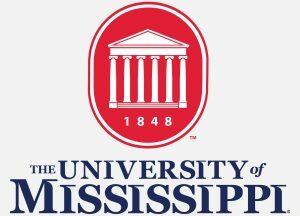 This year’s opening ceremony will feature selections from The University of Mississippi Gospel Choir and a keynote address by Mrs. Marcia Cole. In addition, the Lift Every Voice Award will be presented to an individual, group, or entity that has contributed to the betterment of human relationships on our campus, with particular emphasis in the areas of diversity, multiculturalism and inclusion. For more information, contact the Center for Inclusion and Cross Cultural Engagement at 662-915-1689. Professor Ethel Young-Scurlock and student leaders will discuss Dr. King’s legacy and coalition building moving forward. Join us for the viewing of a film surrounding the life of Fannie Lou Hamer and a discussion lead by Belinda Lane. Professor Kiese Laymon will speak with students on the legacy and future of the Civil Rights Movement. Book signing and reception will follow. Join the Black Student Union for the 6th annual celebration of African American achievement at the University of Mississippi. The keynote address and awards presentation will be followed by an evening of fellowship, music, and dancing. Admission is free for University of Mississippi students, faculty and staff. The gala is co-sponsored by the Office of the Vice Chancellor for Student Affairs, Office of the Chancellor, Office of the Provost, Center for Inclusion & Cross Cultural Engagement, Office of Fraternal Leadership & Learning, Ole Miss Student Union, School of Education, The Career Center and IMAGE. Tickets are available at the Ole Miss Box Office beginning Monday, January 21st . For more information, contact the Black Student Union at umissbsu@gmail.com. Join the UM NAACP for a financial literacy banquet primarily aimed at discussing techniques to promote financial literacy in the African American Community. Refreshments will be provided. With soul food’s significant history in the African American culture the Luckyday Residential Dining Hall will host a luncheon featuring soul food cuisine. Attendees will be able to use meal plans or purchase the meal at the regular rate. Free meal tickets will be available at select Black History Month events. Join us as we celebrate 110 years as an organization with line dancing and music! Hosted by the Center for Inclusion and Cross Cultural Engagement and Student Activities Association. Thank you Black Faculty and Staff! On this day, we will be giving out tokens of appreciation to you! During this UM NAACP Service Event we will be hosting a Black History Month carnival for those served at the Oxford Boys and Girls Club. All booths and games will be centered around black history. The annual Black History Month Concert will celebrate the music of African America, Africa, and the Caribbean. The University Symphonic Band, the Fraternity String Quartet, and talented faculty and student soloists will perform instrumental works by Mississippi native William Grant Still, known as the Dean of African American composers. In addition, the Ole Miss African Drum & Dance Ensemble and the UM Steel Orchestra will perform. Special guests round out this vibrant musical experience. Admission is free. Prof. Eddie Chambers (Univ. of Texas at Austin) is a British historian who has written extensively about the work of African diaspora artists in the United Kingdom and other countries, including Australia, Jamaica and the U.S.A. Please join us for a candid discussion about various issues facing black men. Participants will be invited to share stories and network with men from various walks of life. The impassioned speeches of former slave and fiery abolitionist Sojourner Truth inspired the text of this contemporary cantata, composed by Ole Miss faculty member Dr. Stanley Friedman. Sojourner Truth, the cantata, is for soprano and an instrumental ensemble of six. It will be performed by guest faculty from Nicholls State University. The 30-minute performance will be followed by a conversation with the composer about Sojourner Truth and the music she inspired. Admission is free. The event is free and open to the public. For more information please contact archivesdept@olemiss.edu or 662-915-7408. Tim Wise is among the most prominent anti-racist writers and educators in the United States. He has spent the past 25 years speaking to audiences in all 50 states, on over 1000 college and high school campuses, at hundreds of professional and academic conferences, and to community groups across the country. He is also the host of the new podcast, Speak Out with Tim Wise. Although free, students, staff, and faculty will be required to obtain a ticket to ensure space availability. Tickets will be available beginning Monday, January 22nd at the Ole Miss Box Office. Following the lecture, we will host a reception in Wise and DeGruy’s honor. Join MAPS for the 2019 Move to Improve Health Walk. This walk is dedicated to bringing awareness to the many health disparities African Americans suffer from and reflect on the many innovators in health care. Lambda Sigma Chapter of Delta Sigma Theta Sorority, Inc.
Xi Zeta Chapter of Sigma Gamma Rho Sorority, Inc.